Once again, leaks and rumors that sounded suspicious at first proved to be true! It seemed unusual at first but here we are: LG actually did just announce its two flagships! 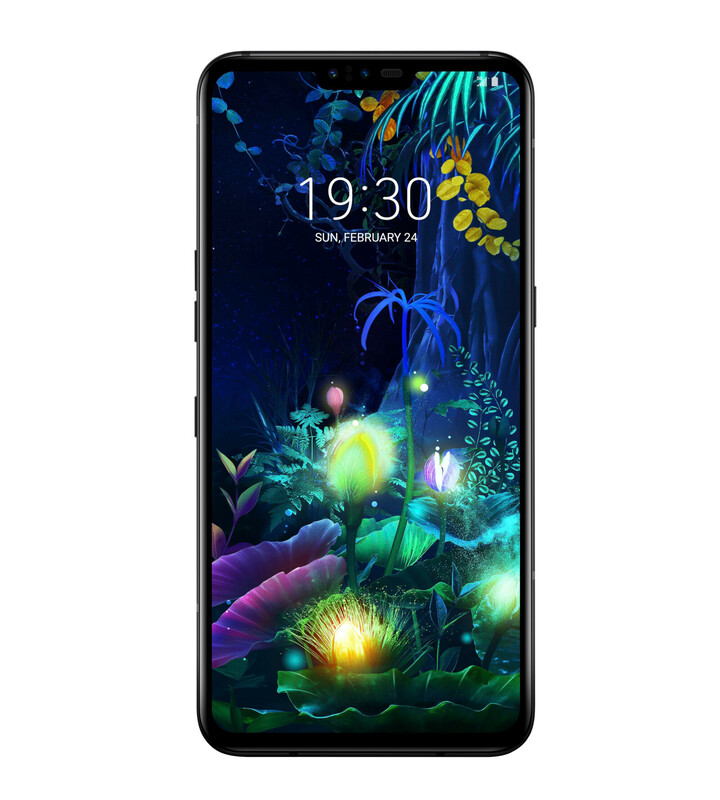 The first one was, of course, the next model from the G line, the LG G8 ThinQ. 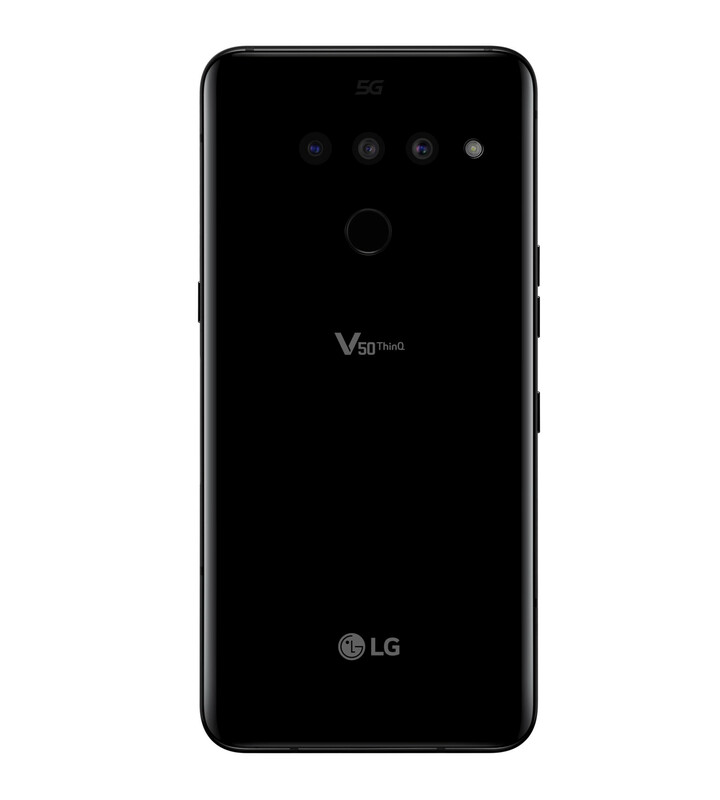 However, in its latest attempt to shake things up, LG also announced the LG V50 ThinQ 5G (yes, sadly, that is the full official name). There will be plenty of time to compare the two LG flagships and ponder if the company really needed to release both of them at the same time, but for now, let’s just focus on what the LG V50 (we’ll spare you the ThinQ from now on) has to offer. As usual, let’s talk looks first. We were really hoping there will be something unusual and exciting about this device we can talk about here, but from the looks of it, there aren’t many differences between the design of the V50 and that of the V40. On the front, you get a familiar look: a 6.4-inch OLED display with QHD+ resolution yet again. Nothing wrong with that, really. However, unlike other companies that moved from regular notches to the more sleek-looking teardrop ones, LG is keeping the same one it had on the V40. To be fair, the wider notch does include two front-facing cameras: a standard 8MP one and a 5MP wide-angle one. The bottom bezel also seems to be about the same thickness, no surprises there either. On the back of the device, we do get a pleasant surprise! It’s not the triple-camera setup we’ve seen on the V40 already, but it does have something to do with it. LG’s engineers managed to fit the three sensors fully inside the body of the phone, making the back completely flat, no camera bump! We hope more manufacturers start doing that, camera bumps have been ruining smartphone designs for years now, it’s time to put an end to it! The trio of rear-facing cameras is as follows: 12MP Standard F1.5 camera, 12MP Telephoto one with F2.4 and a 16MP wide-angle one with F1.9. One new feature LG is adding in the camera department is the option to take portrait-mode videos with both the front-facing cameras and the main ones. Sounds good, but we’ll have to see those videos for ourselves before we can say how useful this feature will be. 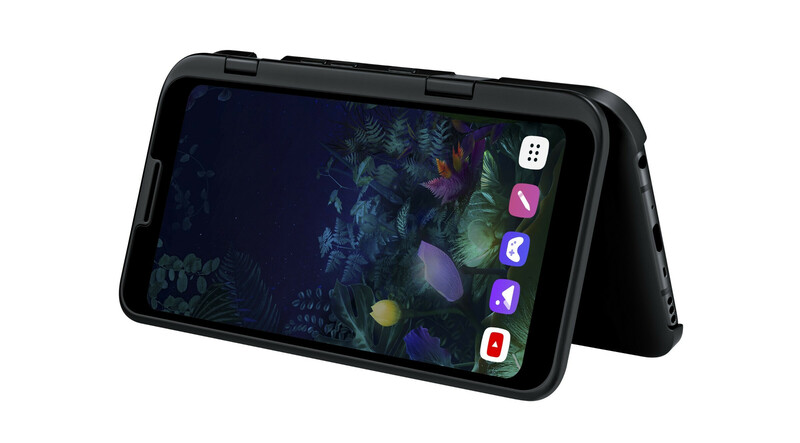 As expected, the sleek body of the V50 comes with IP68 water resistance rating and on top of that the phone is also compatible with the US military MIL-STD 810G standards, which means increased durability (not comparable to a proper rugged phone, but still). Colorwise, the choice is sparse, the V50 will only be available in Astro Black at launch. Now let’s get to the interesting part, the internals! As we should expect from almost any flagship phone in 2019, the LG V50 is powered by the Snapdragon 855 mobile platform. What would likely make the V50 stand out from the crowd at least for a while is its Snapdragon X50 5G modem. This is also the biggest differentiator between the V50 and the G8. 5G promises speeds of multiple gigabits per second, but the catch is that for now, the coverage of the 5G network is very limited. Still, it’s expected that carriers will expand their networks rapidly, so if you’re planning to hold on to your next phone for a few years, it will be a nice feature to have. To combat the 5G modem’s increased heat output, LG has added to the V50 a new Vapor Chamber heat-dissipation system, similar to the ones we’ve seen other brands implement. To go along with the Snapdragon bad boys the LG V50 has 6GB of RAM and 128GB of storage (glad to see LG is also ditching 64GB from its flagships). Feeding the power-hungry chips is an impressive 4000mAh battery. The increased battery does add a bit of bulk to the V50, but even with it, the phone is only 8.2mm thick and mere 14g heavier, compared to the V40. Beyond that, the smartphone features a few extras that we’ve come to expect from LG phones: Boombox Speaker, AI camera; Bluetooth 5.0; Quick Charge 3.0; Google Lens and 32-bit Hi-Fi Quad DAC. Speaking of Hi-Fi, the V50 keeps the 3.5mm headphone jack on board! Nothing shocking on the software side of the LG V50 as well, it will come with Android 9.0 Pie out of the box, of course with LG’s own Android skin on top of it. The LG V50 is a big boy, so let's see how it compares size-wise to some of the other phones in its segment. For more options, check our size comparison tool. What is somewhat shocking (it was hinted in leaks after all) is the special display case that will be available for the LG V50. The case has its own display which works in tandem with the one on the phone itself, providing a unique dual-display experience similar to that you can find on a Nintendo DS handheld console. The screens can be used either for separate tasks or together to provide additional screen real-estate for gaming, for example. This category is still up in the air. There’s currently no set release date and pricing for the V50. Although it’s being announced alongside the LG G8, it will likely come a few months later than its flagship brother. LG isn't giving a price for the display case for now either. What we do know, however, is that initially, the G8 will be exclusive to Sprint customers, with other carriers receiving the device a few months later. Will LG’s new strategy finally bring the success that’s been missing from LG releases for a while now? The LG V50 ThinQ 5G is packing a lot of features and premium components, it’s definitely a proper flagship smartphone. However, as we’ve seen in the past couple of years, that alone is not enough for LG’s phones to succeed. As usual, the price will be a deciding factor, so hopefully, the company has taken notice and doesn’t go too wild with the 5G premium pricing. If you want to check what our first impressions of LG's latest flagship, take a look at our hands-on of the LG V50 ThinQ 5G. At least ditch the rear fingerprint scanner for an optical one. This is almost the same phone from last year. Sounds good so far, but holding off any praise till reviews on battery life, features and the cameras. But definitely looks like it has the potential to be a good device. The dual separate screens don't seem very attractive. I would wait to see the upcoming folding phones competition. So far Galaxy Fold and Huawei X, but throughout 2019 we'll see what other OEMs have to offer. Headphone jack, OLED display, water and dust protection, no display hole, classic fingerprint scanner, big battery and Snapdragon 855, I think it's good enough. Well I think I found my upgrade for my G7. I'm loving my G7 but I kinda want something wider. I was thinking of going with a V35 or V40 but I'll just go with the newest. LG has lost it.. They don't know how to make a decent phone now..
Have they solve the bootloop problem yet? THAT'S WHAT I WAS GOING TO SAY! haha brilliant! Yeah, Like over 2 versions ago! They haven't had bootloop issues since the G5! The only V series that had any notable issues with bootloops was the V10 due to the Snapdragon 808 processor. Two things will keep me from buying one (and I had 3 huawei phones in the past 4 years) 1. The price! 2. I live in the USA...won't be one that works here, without having to root & customize. Well, 3 actually... 3. Getting one in the USA will probably make you a target for a drone strike from the CIA/FBI/NSA LOL. Really digging the G8. LG has been increasing their quality ever since they got a big revenue boost from Apple in their OLED production. LG does really well with their other products especially their OLED TVs and the G8 looks like it’s going to be good. I think of it as a Pixel 3 XL but it’s actual “Features”. Is this the worlds' ugliest phone or i'm missing something?! The second screen for "gamepad" looks like a good joke. On the other hand - if you can connect the second screen why wouldn't LG release its own gamepad using the same pogo pins? Who remembers the Sony Ericsson Xperia PLAY that had a slide out joypad and physical buttons? 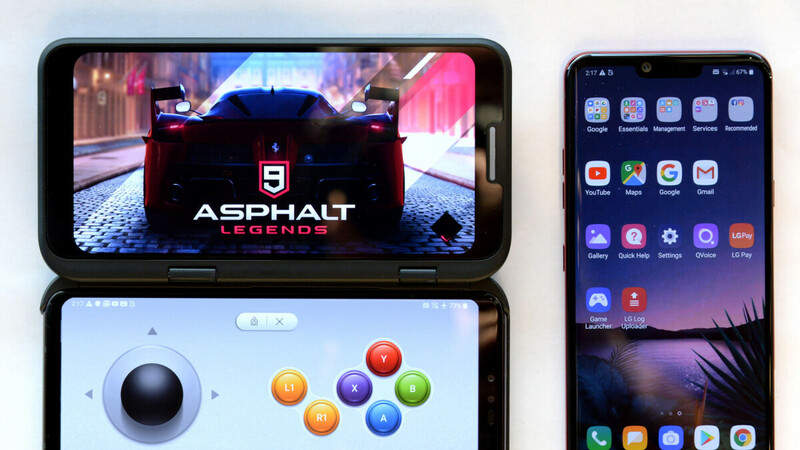 LG is probably going to price it close to s10 and another failure. Waiting 2 or 3 months to release the V50 is a mistake. By then, the next big thing will be here and the V50 will be a memory. Then, the G8 on Sprint...who decides these things? ?